The 5th of August marked our 8th Annual Summit. 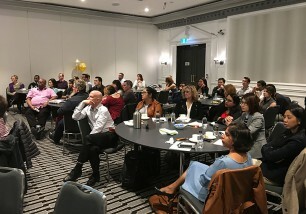 This year it was held at the Intercontinental Hotel in Double Bay. The summit is a forum to convey information that our tribe may otherwise not have access to. We are essentially including the team in the discussion about our strategy, our long-term plan and our goals. It also gives our team the opportunity to make input into day to day operational issues. The company has been built by giving attention to these issues. Many of these initiatives require time and money but we keep them at the forefront of our planning. Sometimes it takes years to bring about the change, but we use this input as a guide. We always ask the question: What can we do different and better? It’s our annual exercise in sharpening the spear! It has become part of our culture – a reminder of who we are and what we stand for, all the more important as we grow. It is a team building exercise, and an opportunity to thank the team for all for the extremely hard work, long hours and weekends. The summit includes the entire Kilimanjaro Consulting team. During the course of the day, we reviewed our successes over the past year, particularly our clients’ satisfaction with both MYOB Exo and MYOB Advanced. Specific accomplishments last year included retaining MYOB Diamond Partner Status in 2016, achieving MYOB Business Partner of the Year 2016, winning MYOB Enterprise Solutions Excellence in Business Development 2016 and being listed one of three Platinum Partners for MYOB Advanced. During the summit, the team were lucky enough to experience an innovative, team building cooking experience with our very Special Guest, Ms. Wanitha Tanasingan. Wanitha’s passion for food was embedded in her upbringing as her Father was the Head Chef for the Kedah Royal Family in Malaysia. In 1982, Wanitha moved from her home town of Penang to Australia. Here, she started up her own restaurant and cooking school. 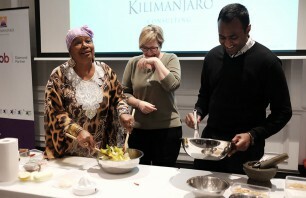 The Kilimanjaro Consulting Team engaged in an inspiring and collaborative cooking experience that was motivated by Wanitha’s passion for food, life and the community. Overall, the summit was a sensational day that allowed Kilimanjaro Consulting to engage in team building, reflection and concentration on the highest service for our clients in the future.